NOVEMBER 6, 2018 – The following news release was published by Turksat on October 30, 2018: Türksat continues to pave the way with new broadcasting technologies. Ultra HD 8K (Super High-Vision) test broadcast, which is the highest level of broadcasting technology, has begun through the Türksat 4B communication satellite located at the 50 degrees East orbital location. BAIKONUR COSMODROME, Kazakhstan, October 17, 2015– International Launch Services (ILS), a leader in providing mission integration and launch services to the global commercial satellite industry, successfully launched the TURKSAT 4B satellite into orbit today on an ILS Proton vehicle. The satellite was built by Mitsubishi Electric Corporation for Turksat Satellite Communication, Cable TV and Operation Inc. Co. (Turksat A.S.), one of the world’s leading operators in the satellite communication business. 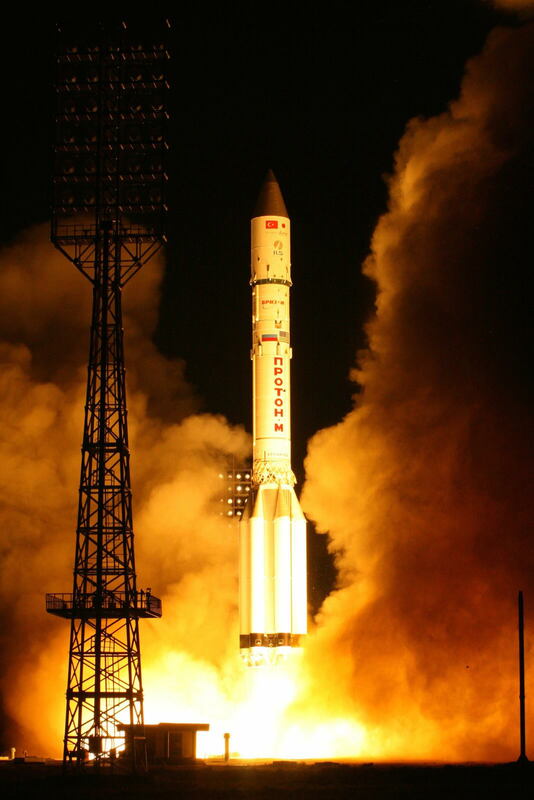 This was the 2nd Proton launch for both the satellite operator and the manufacturer; it was also the 6th Proton launch of the year.